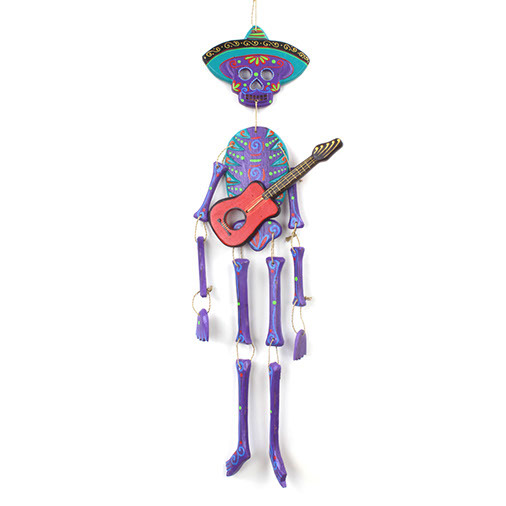 This cool guitarista is a Day of the Dead version of a traditional Mexican mariachi player. These amazing creations are a variation on traditional Mexican designs known as either 'calacas' or 'calaveras.' Whilst these designs are made year round, it is during the Day of the Dead festival at the end of October and beginning of November that they are displayed everywhere.